Hydrodemolition entails the use of high pressure or ultra high pressure water jet equipment in place of conventional tools to remove concrete and other materials. 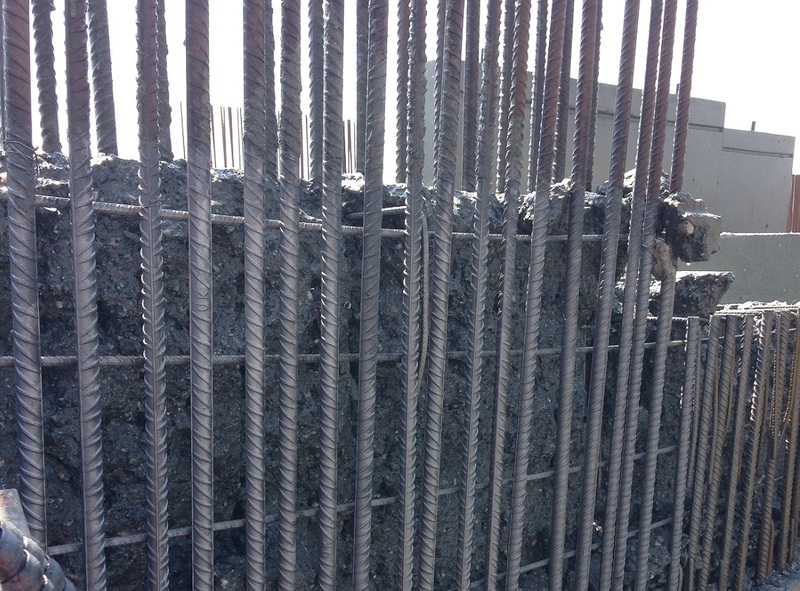 It is an incredibly effective way to cut down concrete without affecting steel substructures and other important parts of the structure. The Hydrodemolition process is more accurate than other techniques, especially hydraulic power tools, because there are no vibrations. Water jets are much easier to target and there is very little impact on surrounding materials. The process is also much safer than other approaches, dramatically reducing the risk of workplace injuries. 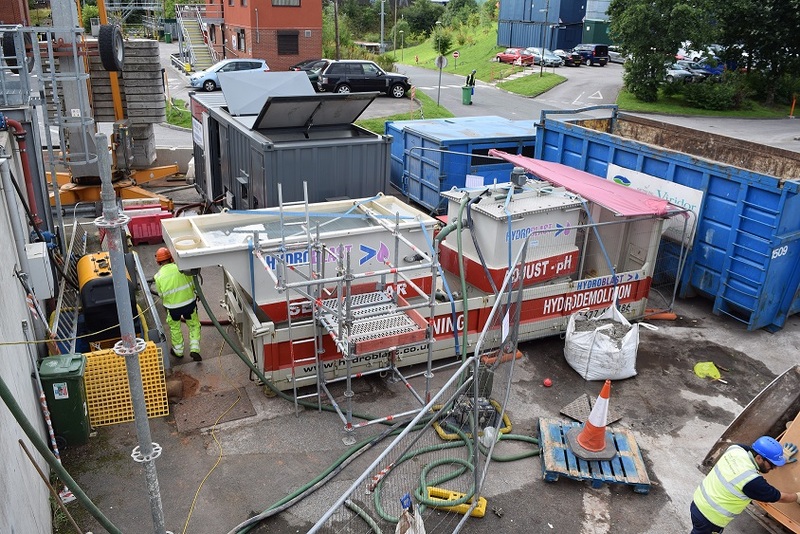 As well as being incredibly effective, the hydrodemolition process is also much gentler on the environment. Pressure jetting is much quieter than heavy duty equipment, reducing the acoustic impact on surrounding areas. Waste water can easily be collected and filtered to prevent cross contamination. Heavier equipment normally produces a great deal of dust when demolishing concrete. With water jet systems there is zero dust, reducing air pollution to negligible levels. Hydroblast are experts in Water Jet Hydro Demolition, with a wealth of experience and knowledge, as well as being safe and efficient operators. We can help you to select the best approach for your project and advise you on all of the options that are available. To learn more about our services please call us on 01677 428 786, email us at [email protected] or fill out the contact form below. We look forward to hearing from you. Hydroblast is one of the UK’s most experienced providers of water jet Hydrodemolition services. We are experts in water jet Hydrodemolition, with a wealth of experience and knowledge, as well as being safe and efficient operators. We can provide both manual and robotic demolition depending on your needs and the demands of your site. Our highly trained team are equipped with market leading machinery to ensure they can deliver the best possible standards. When you need a fast and effective service we are proud to serve. The choice of manual or robotic services means we can cater to all kinds of requirement, including working at heights. With every project we work on we take care to plan for every safety eventuality. Careful planning minimises the risk of injury and ensures our customers receive the best standards of service. We can help you to select the best approach for your project and advise you on all of the options that are available. There are several advantages to working with us, including our level of professionalism and the sophistication of our robotic services. If you need maximum accuracy we can use the Equal Distance System (EDS) to maximise the removal of concrete. The efficiency and safety of our robots are both provided for with the Intelligent Sensing Control (ISC). This great system lets the technician control the device with its own onboard computer. We often get asked what is hydrodemolition? We hope that this page and the rest of this section will help you to learn more about one of our specialist areas, and allow you to choose the right service for you.